Going at 50km/hr towards the end of a straight… on ice. You turn the wheel, brake, and the car goes into a sideslip… Skid!! You counter-steer but maintain a hint of throttle to get some traction and head perfectly straight out of the curve…”It’s all about getting the mix right… ” says the instructor sitting beside you. 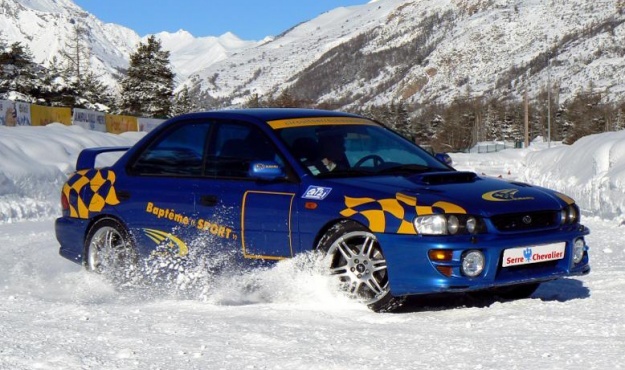 In a matter of hours, you will have gained the confidence to face icy or slippery roads and de-mystified steering techniques that are simple but effective: negotiating a sharp bend, side-slipping, emergency braking… Who said that winter driving couldn’t be fun?